The Mayor of the District of Columbia is the head of the executive branch of the government of Washington, D.C. The Mayor has the duty to enforce city laws, and the power to either approve or veto bills passed by the Council of the District of Columbia. In addition, the Mayor oversees all city services, public property, police and fire protection, most public agencies, and the public school system within the District of Columbia. The mayor's office oversees an annual city budget of $8.8 billion. The Executive Office of the Mayor is located in the John A. Wilson Building in downtown Washington, D.C. The Mayor appoints several officers, including the Deputy Mayors for Education and Planning & Economic Development, the City Administrator, the chancellor of the city's public schools, and the department heads of city agencies. The structure of Washington, D.C.'s city government has changed several times since the City of Washington (a smaller municipality within the District of Columbia) was officially granted a formal government in 1802. From 1802 to 1812, the mayor was appointed by the President of the United States; Washington's first mayor was Robert Brent, appointed in 1802 by Thomas Jefferson. Between 1812 and 1820, the city's mayors were then selected by a city council. From 1820 to 1871 the mayor was popularly elected. Originally, four separate municipalities were located within the District of Columbia, and each was governed separately: the City of Washington, Henry D. Cooke and Alexander Robey Shepherd) and replaced with a three-member Board of Commissioners appointed by the President. This system existed until 1967, when President Lyndon B. Johnson created the office of mayor-commissioner, to be appointed by the President. This office had only one occupant in its eight years of existence: Walter E. Washington. In 1973, Congress enacted the District of Columbia Home Rule Act, providing for an elected mayor and 13-member legislative council, with the first elections to take place the following year. 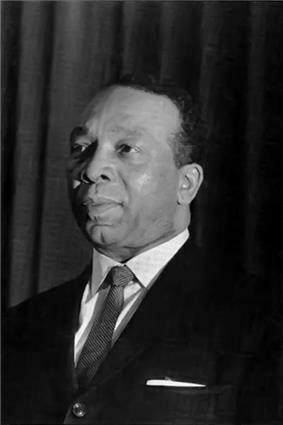 Incumbent mayor-commissioner Walter Washington was elected the first home-rule Mayor of the District of Columbia on November 5, 1974. 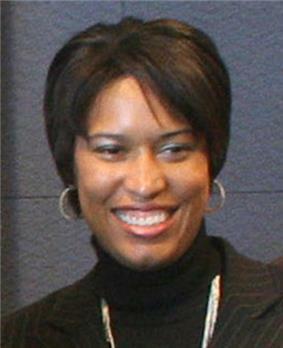 The city's local government, particularly during the mayoralty of Marion Barry, was criticized for mismanagement and waste. Barry defeated Mayor Washington in the 1978 Democratic Party primary. Barry was then elected mayor, serving three successive four-year terms. During his administration in 1989, The Washington Monthly magazine claimed that the District had "the worst city government in America". After being imprisoned for six months on misdemeanor drug charges in 1990, Barry did not run for reelection. In 1991, Sharon Pratt Kelly became the first black woman to lead a major U.S. city. Barry was elected again in 1994 and by the next year the city had become nearly insolvent. In 1995, Congress created the District of Columbia Financial Control Board to oversee all municipal spending and rehabilitate the city government. Mayor Anthony Williams won election in 1998. His administration oversaw a period of greater prosperity, urban renewal, and budget surpluses. The District regained control over its finances in 2001 and the oversight board's operations were suspended. Williams did not seek reelection in 2006. 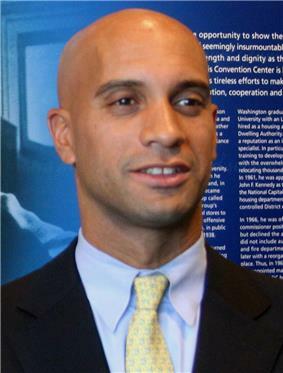 Councilmember Adrian Fenty defeated Council Chairwoman Linda Cropp in that year's Democratic primary race to succeed Williams as mayor and started his term in 2007. Shortly upon taking office, Fenty won approval from the city council to directly manage and overhaul the city's under-performing public school system. 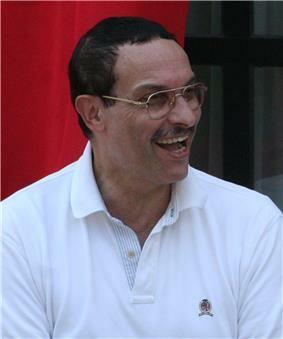 However, Fenty lost a Democratic Party primary to former Council Chair Vincent Gray in August 2010. Mayor Gray won the general election and assumed office in January 2011 with a pledge to bring economic opportunities to more of the city's residents and under-served areas. The mayor of the District of Columbia has no official residence, although the establishment of one has been proposed several times in the years since the office was established in 1974. In 2000, Mayor Anthony A. Williams appointed, with the DC Council's approval, a commission to study the possibilities of acquiring property and a building to be used as the official residence of DC's mayor. The commission examined several possibilities, including the Old Naval Hospital on Capitol Hill, the warden's house at St. Elizabeth's Hospital, and several former embassies and chanceries before issuing a final report recommending a plan proposed by the Eugene B. Casey Foundation to privately finance the construction of a residence in D.C.'s Foxhall neighborhood and donate it to the city under the name of The Casey Mansion. The Council approved the plan in 2001. However, residents objected to the plan on the grounds that it aggrandized and insulated the mayor from his constituents; that the location, rather than symbolizing D.C.'s economic and ethnic diversity, would place the mayor in one of the city's whitest, wealthiest, and most exclusive communities; and, especially, that the Casey Foundation's plan required the acquisition of four acres of national park land to be used as private grounds for the mansion. After several months of delays caused by these political entanglements, the project began movement in October, 2003; that December, however, the Casey Foundation suddenly announced that it was abandoning plans for a mayoral residence and donating the land to the Salvation Army. Plans for an official residence have remained inactive ever since. The mayor serves a four-year term and can be re-elected without term limits. Candidates must live and be registered to vote in the District of Columbia for one year prior to the date of the election. Elections take place in the same year as the midterm Congressional elections on election day in November. However, since the electorate of the District is overwhelmingly (over 80 percent) Democratic, in practice the mayor is determined in the primary election, held on the second Tuesday in September. I, (mayor’s name), do solemnly swear (or affirm) that I will faithfully execute the laws of the United States of America and of the District of Columbia, and will to the best of my ability, preserve, protect and defend the Constitution of the United States, and will faithfully discharge the duties of the office of Mayor of the District of Columbia, which I am about to enter. If the mayor dies in office, resigns, or is unable to carry out his/her duties and he/she did not designate an acting mayor, the Chairman of the DC Council becomes acting mayor until a special election can be held and certified by the DC Board of Elections and Ethics. At least 114 days must pass between the mayoral vacancy and the special election, which is held on the first Tuesday thereafter. As of June 2014, no such vacancy has ever occurred. The mayor has the responsibility to enforce all city law; administer and coordinate city departments, including the appointment of a City Administrator and heads of the departments (subject to confirmation by the Council); to set forth policies and agendas to the Council, and prepare and submit the city budget at the end of each fiscal year. The mayor has the powers to either approve or veto bills passed by the DC Council; to submit drafts of legislation to the Council; and to propose federal legislation or action directly to the President and/or Congress of the United States. As head of the city's executive branch, the mayor has the power to draft and enact executive orders relative to the departments and officials under his jurisdiction, and to reorganize any entities within the executive branch (except in the case of formal disapproval by the Council). Additionally, the mayor reserves the right to be heard by the Council or any of its committees. ^ a b "District of Columbia Home Rule Charter, Sec. 422". U.S. Congress. Abfa.com. 1973-12-24. Retrieved 23 November 2014. ^ "District of Columbia Approved Fiscal Year 2010 – Excecutive Summary" (PDF). Government of the District of Columbia. Government.dc.gov. 2009-09-28. Retrieved 23 November 2014. ^ "District of Columbia Home Rule Act". U.S. Congress. Abfa.com. 1973-12-24. Retrieved 23 November 2014. ^ Mathews, Jay; Bowman, LaBarbara (November 6, 1974). "Washington Winner In Mayoral Election: Washington Wins Mayoral Election". The Washington Post. p. A1. ^ DeParle, Jason (January 1, 1989). "The worst city government in America.". The Washington Monthly. Retrieved June 6, 2009. 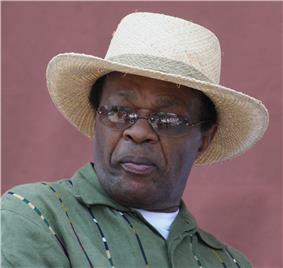 ^ a b "Marion Barry". ^ Janofsky, Michael (April 8, 1995). "Congress creates board to oversee Washington, D.C.". The New York Times. Retrieved May 27, 2008. ^ "District Government Achieves Balanced Budget and Clean Audit Opinion for FY 2003". D.C. Office of the Chief Financial Officer. January 30, 2004. Retrieved June 23, 2008. ^ "Mayors Official Residence Commission, final report, April 24, 2001". Dcwatch.com. Retrieved 23 November 2014. ^ "Gary Imhoff, Futile testimony on the Mayor's mansion, April 17, 2001". Dcwatch.com. Retrieved 23 November 2014. 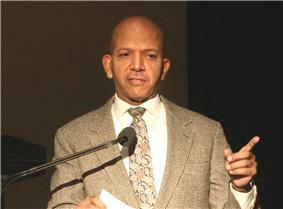 ^ "Mayor Anthony Williams, security rationale for adding parkland to mayoral mansion area, September 24, 2003". Dcwatch.com. Retrieved 23 November 2014. ^ Nakamura, David (2003-12-13). "District's Mayoral Mansion Scuttled: Casey Foundation Donates NW Site To Salvation Army". The Washington Post. Retrieved 2 January 2011. ^ a b c "District of Columbia Home Rule Charter, Sec. 421". U.S. Congress. Abfa.com. 1973-12-24. Retrieved 23 November 2014. ^ D.C. Official Code, § 1–604.08. ^ Elected as "Sharon Pratt Dixon," but remarried in December 1991.